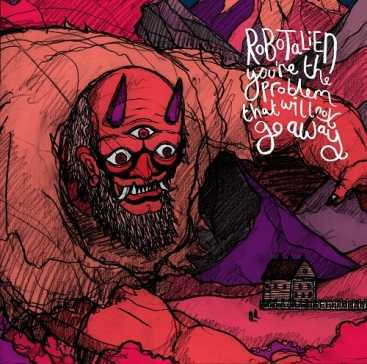 Singer-Songwriter Rob Allen, aka RoBoTaLiEn, releases his self-produced new album this month, further proof that the Manchester music scene is as alive and kicking as it ever was. Having moved up North from the Midlands, Allen set about making a name for himself under the RoBoTaLiEn moniker, gigging with the likes of Johnny Foreigner and Sunset Cinema Club. He now counts these artists among his fans, alongside Tom Robinson who regularly plays new tracks on his BBC 6Music show. As a result, the new album is creating quite a buzz in certain circles. The title – ‘You’re The Problem That Will Not Go Away’ – is a direct quote from daytime TV snake/presenter Jeremy Kyle, hinting at the inspiration for Rob’s songs. Designed to ‘explode colour into life’s monochrome, kitchen sink drama’, they work as opposition to the bland nature of the everyday. This is alternative pop of the highest order. Dark but infectious, RoBoTaLiEn have created something truly compelling – available from June 24th.